Success in your business and projects. This is what we wish for you in 2018. We all know that succeeding in any online business depends on many different factors. Nevertheless, we are convinced at Dareboost that those factors always include these basic conditions: offering – whatever is the browsing context – an accessible, safe and fast website, able to generate user’s engagement. A quick look at our web page dedicated to all the web performance impacts will remind you how loading speed is essential to your website. Bounce or conversion rate, cost of your infrastructure, users loyalty, etc. Actually, it is hard to find one feature of your website that could not be affected by a poor web performance. Even your website ranking in Google may be impacted, as confirmed by these french SEO experts we have recently interviewed. So how about considering your website speed optimization as one of your purpose in 2018? We are more than ever able to help you and support you to achieve that goal! Have a look at our 2017 retrospective to figure it out (new features, new optimization tips, etc.). If your last page audits date back to 2017, we invite you to run your first Dareboost test for 2018! One last thing to convince you to focus on web performance: a little game and a chance to win a Dareboost Business account ! Win your Dareboost Business account with one tweet! How to play? You only have to share this article on Twitter with the #Dareboost2018 hashtag before January 31. 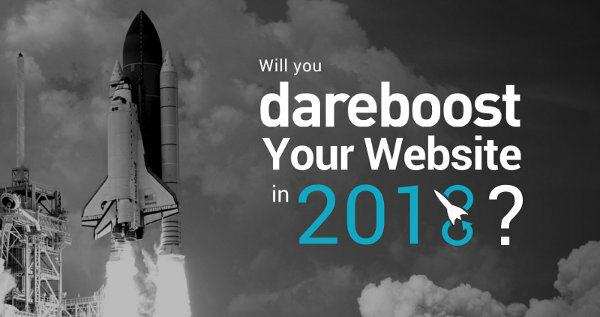 On February, 1st, we will randomly select the winner of a Dareboost Business account (6 months duration – value: $324). By the way, do not hesitate to follow our Twitter account if you don’t do it yet! Then you won’t miss any of our future publications and web performance tips any more! Now our game is over and it is time for us to announce who are the winners! But right before, let’s thank all the participants for their tweets with the #dareboost2018 hashtag and to have, in their own way, also spread our website optimization message over their network! 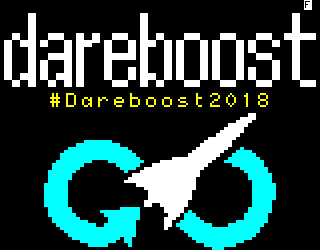 We also have to mention the tweet from Frédéric Bisson, who has surprised us with this marvellous “Minitel-style” animation of Dareboost! Such a smart tribute to this french web ancestor, born in Rennes – Just like Dareboost! Even if Frédéric did not win our Business account, the Dareboost team really appreciated the effort. So he may at least receive a couple of goodies in the days to come! that’s not all folks: Guillaume Le Roy, Tuticci, Laurent Babicz de Salettes, Julien van der Kluft and Bob Volte, will receive a couple of Dareboost Goodies (as soon as they will give us their address). We invite each of these winners to contact us so that they can benefit form their gifts as soon as possible! Thanks for the event and Happy New Year.